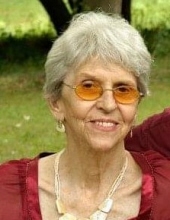 DANA-Marilyn E. Payton, 80, of Dana, Indiana passed away peacefully Saturday, February 9, 2019 at her residence surrounded by her loving family. She was born February 13, 1938 at Newport, Indiana to the late Ernest Ray Wickens and Thelma Weatherman Wickens. Survivors include her husband of 63 years, Ernest Payton whom she married October 16, 1955 at Montezuma; also surviving, one daughter, Debra (Jim) Foxworthy of Bloomingdale; one son, Timothy Dee Payton of Quaker; one sister, Martha Clarey of Newport; two brothers, Bradley (Mary) Wickens of Covington and David (Sharon) Wickens of Dana; sister in law, Janice “Cookie” Watts of Montezuma; seven grandchildren, Blake (Lori Hooper, Kurt (Corree) Haley, Heather (Albert) Winks, Jodie (Mark) Carter, Tyler (Tina) Payton, Brittney (David) Gould and Logan Payton; 12 great-grandchildren; several nieces and nephews. She was preceded in death by a son, Steven Payton on September 21, 2003; two brothers, Frank A. Wickens and Morris (Celia) Wickens; great granddaughter, Adilynn Payton. She was a 1956 graduate of Newport High School. She was a member of the Community Bible Church in Dana. Marilyn was a homemaker and loved cooking for her family. She was a 4-H leader for over 10 years and was an avid horse lover. Services will be 2:00 pm Tuesday, February 12, at Overpeck-Gooch Funeral Home, 225 N. Maple Street, Dana, with Pastors David Wickens and Marvin Miller officiating. Burial will follow at Hopewell Cemetery in Quaker. Visitation is 12 noon until 2:00 pm Tuesday at Overpeck-Gooch Funeral Home. Memorials should friends so desire, may be made to the Community Bible Church, PO Box 673, Dana, IN 47847 in her memory. Online condolences may be shared at www.goochfuneralhome.com. To send flowers or a remembrance gift to the family of Marilyn Elaine Payton, please visit our Tribute Store. "Email Address" would like to share the life celebration of Marilyn Elaine Payton. Click on the "link" to go to share a favorite memory or leave a condolence message for the family.